Happy Friday, everyone!! 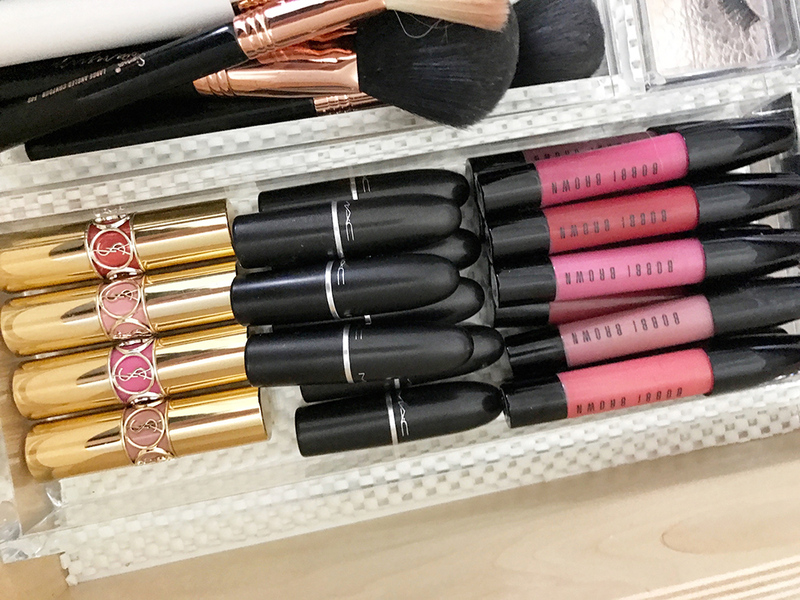 I always get SO many questions about my favorite beauty products and to be honest, I’m updating my drawer pretty regularly because I’m constantly testing out new products that are either sent to me or that I personally buy. 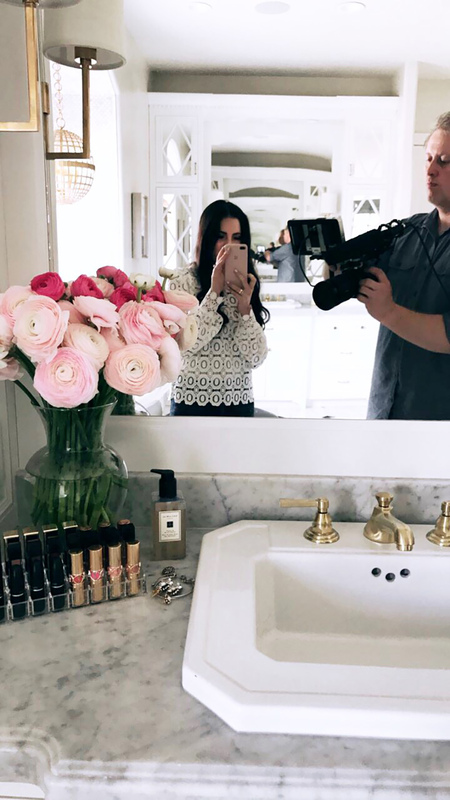 Click here to watch my segment on Style Code Live for a closer look at my beauty drawer and which products I’m loving lately! And now for the best part!!!! Elizabeth Arden is offering 25% off this lipstick and liner in ANY COLOR!!! Click here and use code 25RACH when you check out at Amazon.com. Discount valid today and tomorrow only! Hi!! Would you mind sharing what color Elizabeth Arden lipstick you are featuring/wearing in this style segment? So cute and your colors always work for me too! Thanks girl! It’s Taupe liner and Pale Petal lipstick!! Holy crap! That’s A LOT of stuff! Your makeup looks beautiful. May I ask you what color lipstick and liner you’re wearing in Elizabeth Arden? Thank you. Hi Allison! It’s Taupe liner and Pale Petal lipstick!! I’m not a huge make-up person but a few of these products are on my list to try! So many fun options! So excited about the Elizabeth Arden lipstick deal! That shade you are wearing is gorgeous! I LOVE your lipstick collection, Rach, such a pretty mix of neutrals and colors! I’ve never tried Elizabeth Arden lipstick before, I’ll have to be sure to check them out! Thanks for sharing and I hope you have a great Easter weekend! Your makeup looks beautiful! 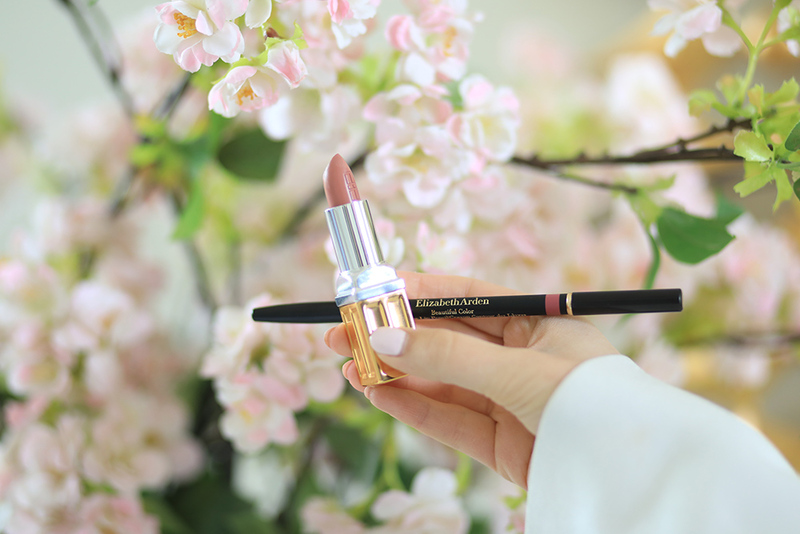 Would you share what color lipstick and liner you’re wearing in Elizabeth Arden? Thank you. I would love to try it. Taupe liner and Pale Petal lipstick!! Hi Rach! Loved your segment last night on SCL! You had a lot of great tips and product recommmendations. I love the Stila liner. It is my favorite. 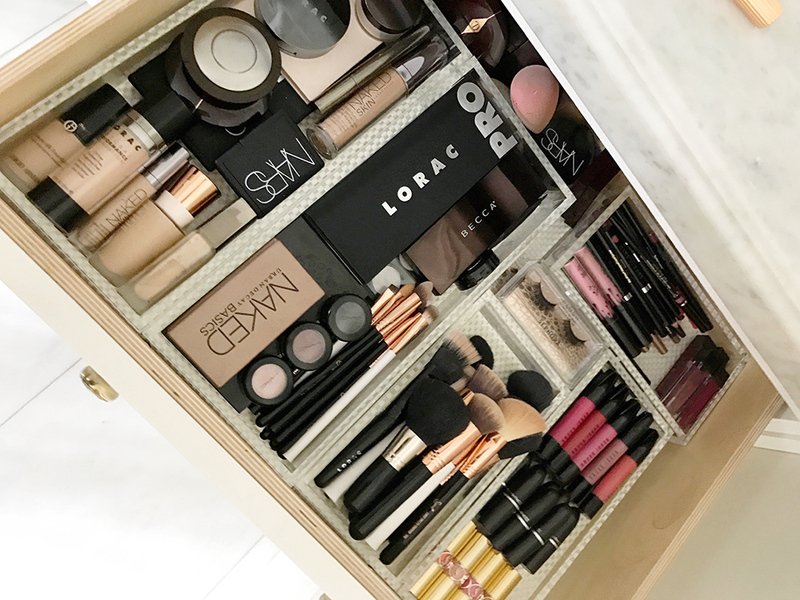 That is one gorgeous beauty drawer! Major inspiration. Where are your jeans from? I love the high waist!! Astonishingly beautiful! Thanks for the code! Hi, lovely post and segment!! Was wondering where did you purchase the trays for your drawer? They are lovely!!! Thanks Lori! The Container Store! I love your jewelery organizer trays? Who are they by? I got them at the Container Store!! Now that is an amazing lipstick collection!! Excited to see more of your beauty picks! This lip colour is gorgeous! that lorac pro palette is one of my all-time favorites! love your lipstick collection, too — and the last elizabeth arden shade looks like perfection. Hi! Love your white lace top. Can you share where it’s from? Hi Roberta! It’s Taupe liner and Pale Petal lipstick!! Hi Rachel! I think you may have answered his question on insta stories, if so I forget the answer. What containers do you use to divide you’re makeup in your beauty drawer? Hi Kelsey!! They are from the Container Store!